Today, many busy couples find that they are rushed for time and short on cash when comes to planning and financing their wedding. Beach weddings offer a sensible yet elegant solution to the expense and headache normally associated with a traditional wedding. Typically, a beach wedding is easier to plan, cheaper to pay for and a whole lot more fun - for everyone - including the guests! There are some 'special issues' though that must be considered when planning a beach wedding. Choose your location wisely. Beaches are usually breezy. Try to pick a cove or area protected from direct winds for your ceremony. Be mindful of the tides. Find a wedding officiate local to the beach of your choice to perform your wedding ceremony. 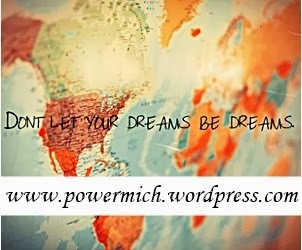 Often they specialize in beach weddings and can provide useful tips as well as very affordable package deals. Wedding packages are becoming very popular and are ideal for busy couples. Often they include everything you need from the bouquet to the photography to the filing of your marriage license. Minimize your reception expenses by planning a sunset ceremony followed by a simple but elegant wine and cheese reception right on the beach. Rent an outdoor canopy to protect your reception area from rain showers and uninvited seagulls. For a tropical flare, decorate the canopy with tulle and twinkling mini-lights and silk flowers. Use hurricane candles for lighting. Remember your guest's comfort and safety. Provide seating for the elderly as well as sunscreen and insect repellent just in case. If some of your guests have mobility impairments recognize that it's nearly impossible to push a wheelchair in the sand, and it's very hard for people who have difficulty walking to negotiate sand as well. Many beaches have walkways or platforms. Use these accordingly. 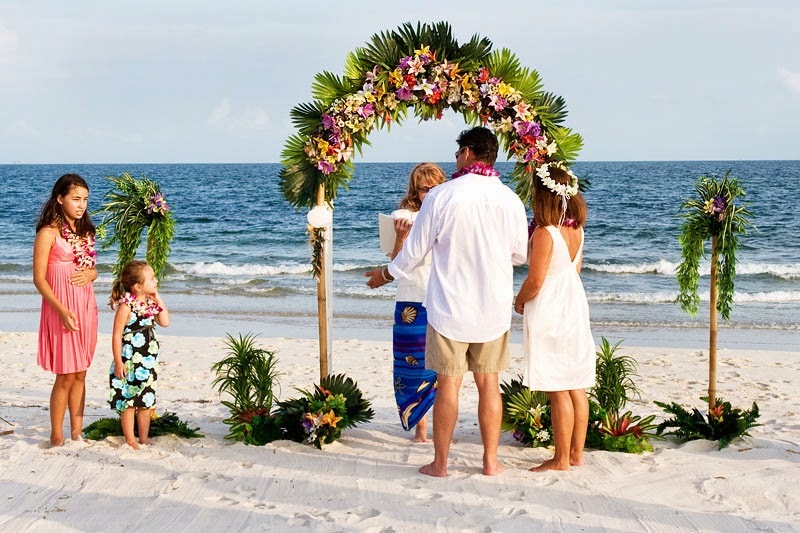 Thank your guests for sharing your day by presenting them with beach wedding favors such as personalized sand-dollars, seashell candles or Hawaiian Silk Leis. Remember, depending on the time of year, the beach can be very hot, even in early evening. Choose your wedding dress accordingly. A casual hair style works best for beach weddings. If the day is breezy, your hair will look beautifully natural and 'tousled' as opposed to looking 'messed up'. For a larger, more formal beach wedding with many guests, you may want to choose a nearby ocean front hotel or restaurant with an outdoor deck to cater the reception following your beach side ceremony. Although there are many wedding companies that offer all-inclusive beach wedding packages, do not wait until last minute to try to book one! True, these packages eliminate much of the time and planning normally required of a wedding, but they are also very popular. If you cut it too close, you may be disappointed to find the day of your choice already booked. Give yourself no less than six months and more if possible to book your wedding package. In addition to considering the heat, keep in mind that some areas are prone to hurricanes or just nasty storms at certain times of the year. Plan accordingly.